Radley’s integrated products for Cityworks system users lets you streamline daily operations, consolidate tasks, and automate workflows, all within a Cityworks-centric environment. Based on your business logic, Radley consolidates numerous tasks into one simple workflow, without costly consulting services and customizations. Our user interface was built for maximum worker productivity, easy to use and multi-lingual. 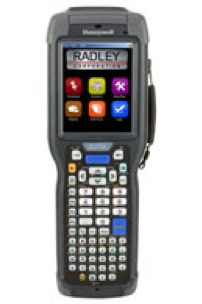 By streamlining data entry and daily operations as well as automating material handling transactions, users follow the simple software prompts as Radley technology is busy behind the scenes validating data and processing multiple transactions at the same time. Unlike the competition, we are not just a barcode data collection provider. We go far beyond the automation of transactions to offer you a comprehensive platform of solutions, services and hardware to help boost your productivity.